The theft of mobile devices – smart phones and tablets – is now the “fastest-growing street crime” in America and the incidents are turning more violent, according to the New York Attorney General Eric Schneiderman. People across the country have been stabbed and mugged at gunpoint for their electronic devices, which are easy to resell. A stolen iPhone can fetch $300 or more on the black market. 1.6 million Americans had a handheld device stolen last year. One in every three robberies nationwide involves a stolen cell phone. 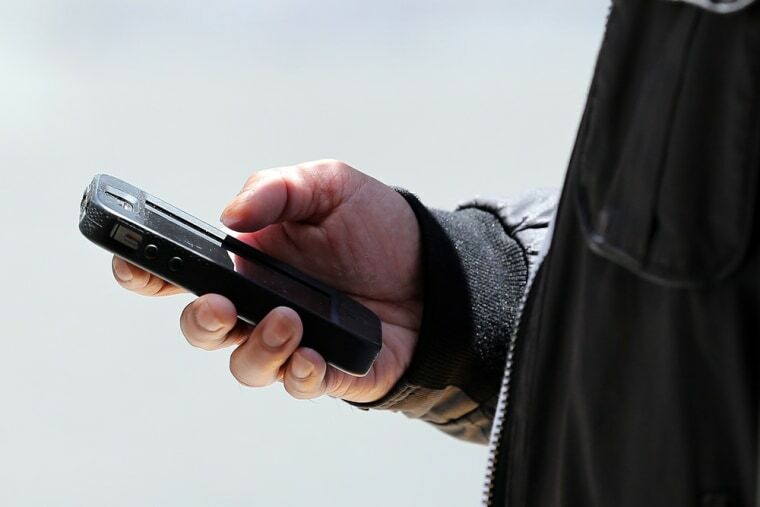 Approximately half of all robberies in San Francisco involved a mobile communications device. In New York City, cell phone robberies increased 40 percent in the past year. In 2012, a 26-year old chef at the Museum of Modern Art was killed for his iPhone. “This has become a national epidemic,” said San Francisco District Attorney George Gascon. On Thursday, Gascon and Schneiderman will hold a “Smartphone Summit.” They plan to ask the nation’s four largest mobile device manufacturers – Apple, Google/Motorola, Microsoft and Samsung – to find a technological solution to this crime wave. “It’s time for manufacturers to be as innovative in solving this problem as they have been in designing devices that have reshaped how we live,” Schneiderman said. The two prosecutors believe a “kill switch” is this answer. This technology would make stolen devices inoperable on any network, anywhere in the world, if they are reported stolen. It would disable the device even if it’s turned off, the SIM card is removed or the phone is modified to avoid detection. Block the ability to reactivate the mobile device, Gascon told me, and the incentive to steal it would be eliminated. Al Pascual, senior analyst for security, risk and fraud at Javelin Strategy & Research, is watching to see how this all plays out. He says a kill switch might solve part of the problem – cutting the value of a stolen phone – but it won’t keep a thief from stealing all the sensitive information stored on the device. “The information on that phone is much more valuable than the phone itself and it can be used to fuel identity theft,” Pascual said. He believes manufacturers need to develop better authentication, such as fingerprints, to secure the information stored on phones. The idea is to make accessing personal data so cumbersome crooks won’t bother to steal the devices. That might be a challenge, since a third of U.S. smartphone owners don't even use a password, according to a recent survey by McAfee. Many smart phones can now be disabled if they are lost or stolen. More than a year ago, the Federal Communications Commission (FCC) and the CTIA – The Wireless Association created a database to prevent the use of stolen digital devices. Police chiefs across the country are happy this was done, but they say it has not solved the problem. In a recent letter to the FCC, Philadelphia Police Commissioner Charles Ramey wrote, “Many smartphones that are ‘disabled’ still have the capacity to access WiFi networks or may be operable with carriers not in the database.” That’s why police chiefs across the country support kill-switch technology. Footnote: In the time it took you to read this story, more than 300 smartphones were lost or stolen in this country.